A bath staging assortment with a cyan motif. 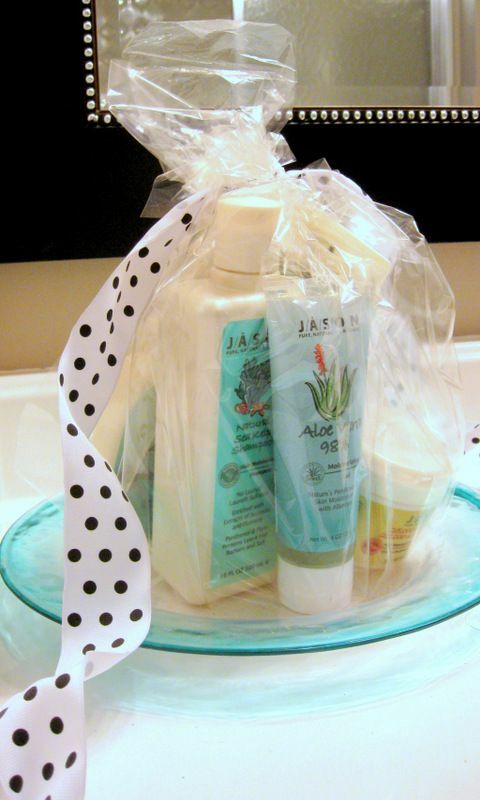 color-coordinated toiletries with a transparent wrap. Confused about what colors are best for staging your home? Let's get some basics down. The best home staging color schemes are built around three colors. The first color is a neutral background one, something that anyone could love. The second one is an accessory color that closely coordinates with the first. It's either in the same color family, or the same tonality. 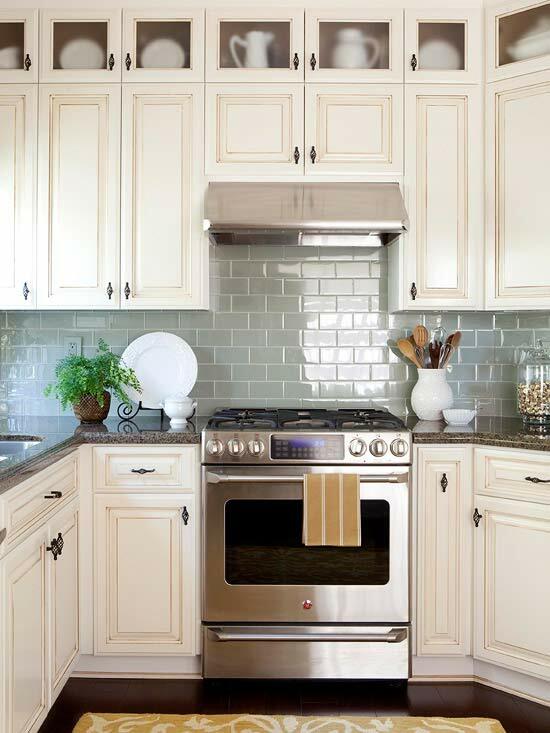 The third is an accent color that doesn't have too much drama of its own. It's usually a more intense color, but not too distracting. Ideally, these same three colors will echo through your home if it is on the market. This kind of planning makes your home look more contemporary, organized, turn-key, and -- most important -- spacious. Cyan works in any of these roles. Cyan is a new word to me. If it’s new to you, let me introduce you. Cyan is the color built from equal amounts of blue and green. If you thought that color was aqua, or teal, or turquoise, or aquamarine, or even electric blue, you’re right. But technically, cyan is the word that printers and graphic artists use for the blue/green pigment. 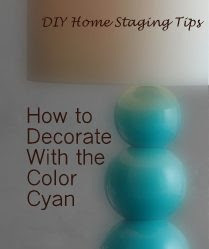 In home decor, and particularly home staging, cyan is an out-and-out winner. Especially the paler versions. Because dreamy, soothing, yet lively, cyan is one of those people-pleasing tones that you can count on to offend no one. While pinks can be girly, and reds be too bold, and browns too iffy, the color cyan has a personality, like yellows, that generally makes people feel good. One reason is that it’s clean. 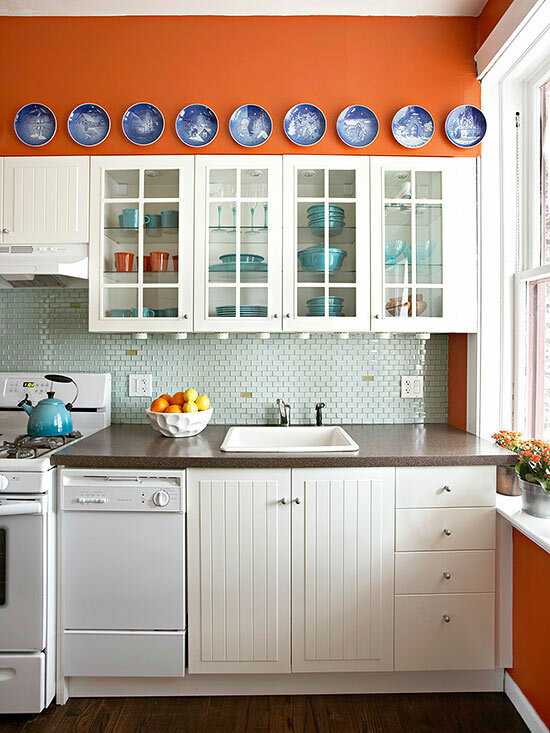 So, cyan is a perfect color for baths or kitchens. Cyan looks contemporary because it hasn’t come into and gone out of the trend cycle. Cyan in clear shades reflects light, and light reflection makes spaces look larger. Here are some examples of the magic that cyan can add to your home. scheme for a harmonious look. 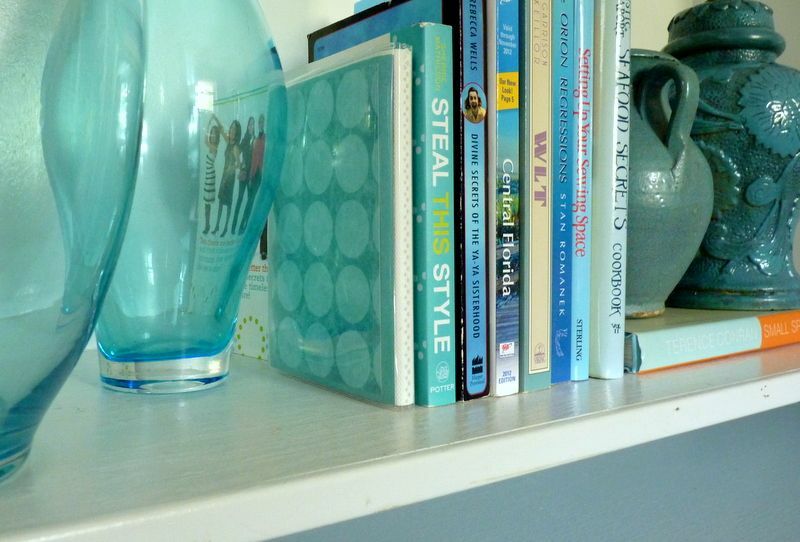 Cyan ties these elements on this shelf together. are classic blue and white, it all works together. Do you agree? Photo: BHG. How Will You Use Cyan? Think about adding cyan to your color palette. It could be your soothing neutral wall color. It could be your complimentary secondary neutral color for your upholstery, bedding, window treatments, or painted furniture. It could be your friendly accent color for books, lamps, art, pillows, or other props. I hope these examples will lead you on a search of your home to discover what you may already own that is the color of cyan. 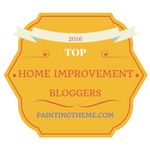 If you decide to paint, you might like Sherwin Williams's Jetstream, or Glidden's Skywatch. Both Krylon and Rust-Oleum.offer spray paints in this family as well. You can get more advice on choosing colors for home staging, plus help with other decisions you'll be making while you stage your own home. 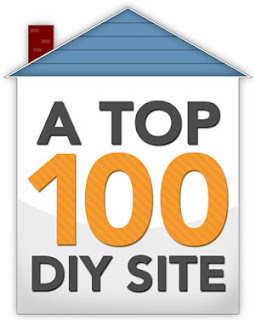 You can download my eBook now for just $4.99, and have this help at your fingertips. Home staging 's easy when you know the tricks and techniques I teach you.